Potholes and dangers on the road – First and foremost, a lot of accidents happen because roads are poorly maintained. Potholes and alike can cause cars to veer off the road, and this is how accidents happen. There are also a lot of roads that have sharp curves, which are very dangerous as well. In addition to this, if a company is performing roadworks, and they have not signposted the area properly, this can easily cause a very serious accident to happen. Road rage – We have all experienced road rage from time-to-time. When someone does something stupid on the road it can be infuriating because it can cause an accident. However, your reaction can then also cause an accident. So you need to make sure you do not lose your cool when you are driving because it could have very severe consequences. Practise deep breathing while you are driving so you can concentrate on the road and not lose your cool with anyone else. Design defects – Although accidents caused by design defects may be rare, there is no denying that they can happen. If there has been an issue with the vehicle and it has caused a crash, it is important to note that you will be able to launch a claim for compensation. After all, all manufacturers have a responsibility to put their vehicles through rigorous testing and to ensure that they are safe for use. If a vehicle has slipped through the wire and you have been hurt because of it, you can definitely claim. The weather – There is no denying that the weather can make it incredibly difficult to drive. There are so many weather conditions that can cause problems. Rain can make it difficult for cars, as the surface becomes too wet, which means you have to drive with extra caution. Of course, snow and ice are the most concerning, as cars can slide around. Even the sun can cause problems because of reduced visibility, with fog having the same effect. In such conditions, drive with caution, and if the weather is horrendous or you do not feel comfortable, you should not be driving at all. Autonomous vehicles – Autonomous vehicles may not have been around for very long now, but you can read about a pedestrian killed by autonomously driving car, showing that the dangers of these vehicles are evident. There have been a number of studies conducted regarding the safety of these vehicles, and they don’t make the best reading. One study from the Center for Disease Control and Prevention concluded that people are one and a half times more likely to be involved in a fatal accident involving these vehicles. Speeding – It probably comes as no surprise that speeding has made the list. You have seen the countless adverts about staying within the speed limits. After all, they have been set for a good reason, yet there are so many people that have decided to go at their own speeds, and this is how serious accidents happen. 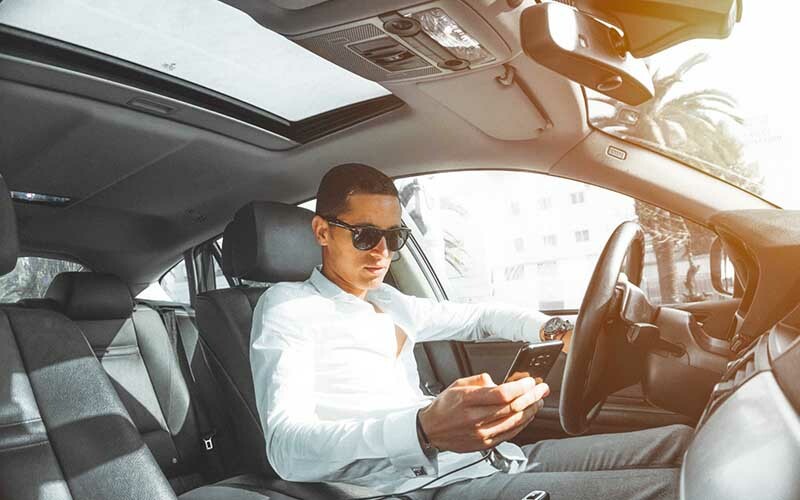 Distracted driving – Last but not least, it cannot be denied that distracted driving is one of the number one causes of car accidents around the country today. There are many different ways that a driver could be distracted while they are driving. The most obvious example is a driver that attempts to use his or her mobile phone while driving. Other causes of distraction include eating food or trying to change the music that is being played. So there you have it: some of the most common causes of car accidents all over the world. Hopefully, you now have a better understanding of what leads to car crashes, and as you can see, a lot of these issues could have been avoided if the correct steps were taken by the driver.